Luxury Just Got Even Better at El Oceano Beach Hotel, Mijas Costa. 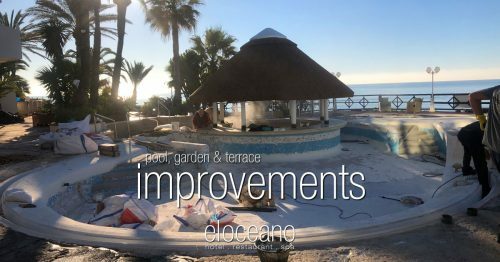 As part of our ongoing improvements to our hotel, we though we’d share with you these ‘in-progress’ pictures of the improvements to the Pool Bar, swimming pool and terrace area! 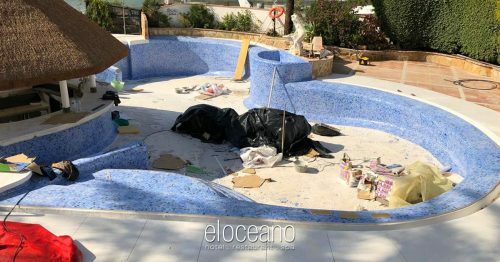 A new Pool Bar roof, bright new pool tiles and new loungers and furniture! 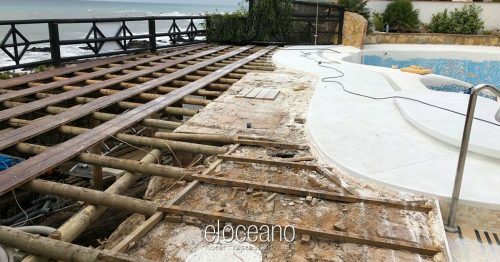 Home » Blog » Luxury Just Took a Step Up! We call it our ‘winter hibernation’, but we do very little sleeping! This year, the focus of improvement attention has been the Pool Bar, VIP Sunbeds and garden terrace! The Pool Bar has a brand new hat (roof), the swimming pool has been fully resurfaced and we’ve invested in all-new terrace tables, chairs and sun loungers!! 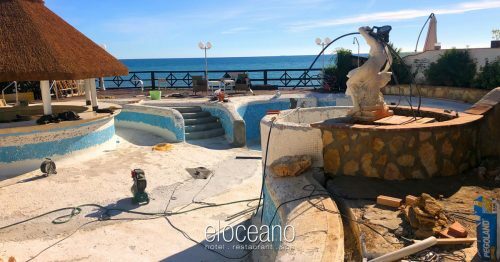 The following photos were taken around the middle of January and, already, the improvements are looking fantastic!! We can’t wait to everyone to see the new garden and terrace! Most of the hard work is complete and now we’re tiding and making sure all the details are perfect! 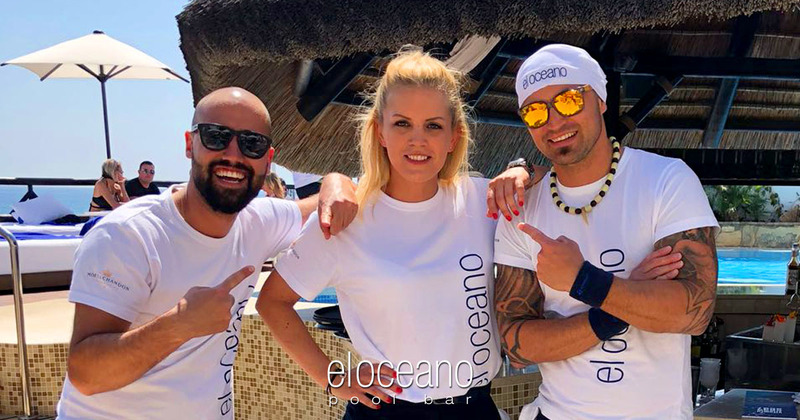 We’re so looking forward to meeting all our terrace and VIP Sunbed guests this sensational 2019 season! 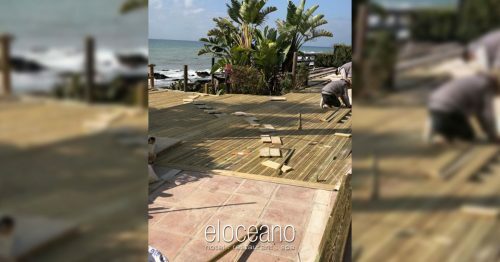 If you’re new to the El Oceano Afternoon Experience, maybe now is the time to book your VIP Sunbed and see what all the fuss is about!! Don’t Miss Out this 2019 Season!! Book your VIP Sunbed! There are few places that will make you feel as special as you will, relaxing on our beautiful, south-facing, beach-front terrace at El Oceano! Relax on one of our four sunbed lounger areas – the Sun Deck, Polynesian Deck or the Sky Deck on one of the VIP sunbeds! What better way to spend an awesome afternoon?! 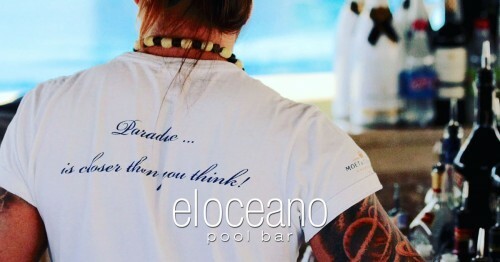 Your own VIP double bed, towel, swim-up pool bar & waiter service! Our terrace is the place to be on the Costa! We pride ourselves on the level of attention and professionalism from our waiting teams! 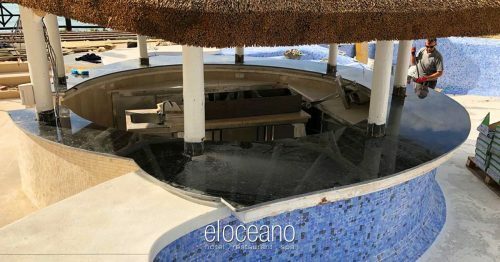 While enjoying an afternoon at El Oceano, you will see a genuine warmth and friendliness in our teams, all part of the exemplary service at El Oceano Beach Hotel!! Awesome Afternoons… Be Exclusive, be a VIP… be Special! Lunch on the Terrace, VIP Beds, personal waiter service… what more could one ask?! Afternoons at El Oceano are something very special. 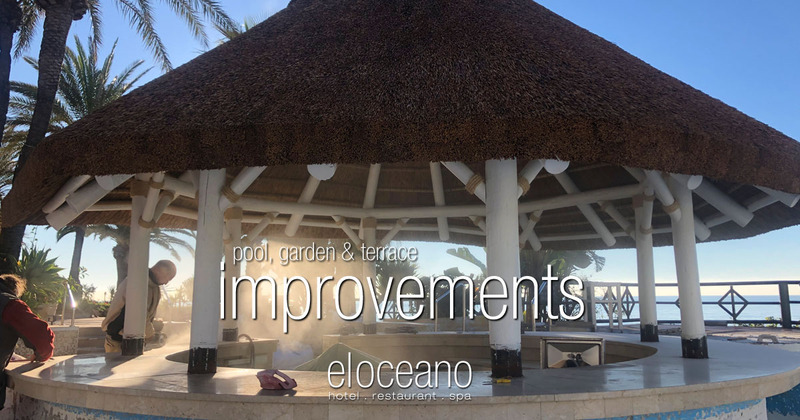 Join us for a bite to eat, either from the lunch menu or the full A la Carte, then spend the afternoon around the pool or the waterfront sun deck with your own VIP bed. Begin your awesome afternoon with one of our Martinis! It’s the only way to go! See the menu! See the Lunch Menu, or choose from the full A la Carte! The perfect afternoon on the perfect day! Book your bed! 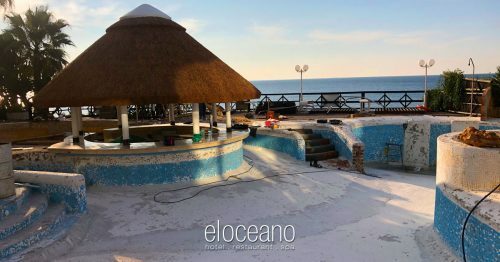 Join Sandor for the Finest Cocktails in the Perfect Location – El Oceano! Open every day (assuming the weather’s good) for cocktails, champagne and more. 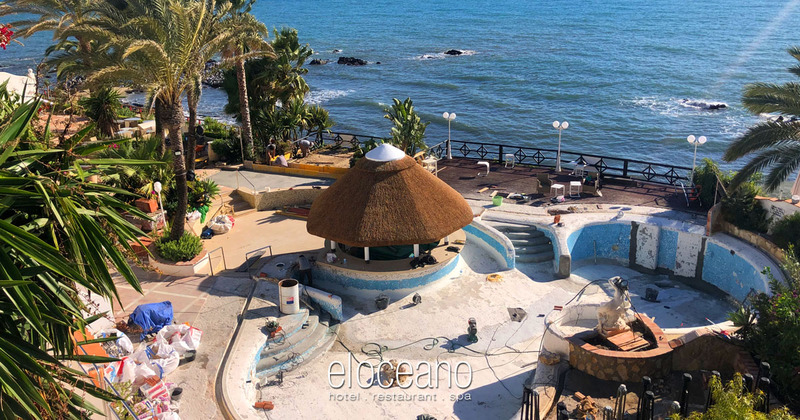 The terrace is right on the Mijas Costa Boardwalk, overlooking the sand. Right by the ocean, close to perfection! It’s so good, you won’t want to leave! 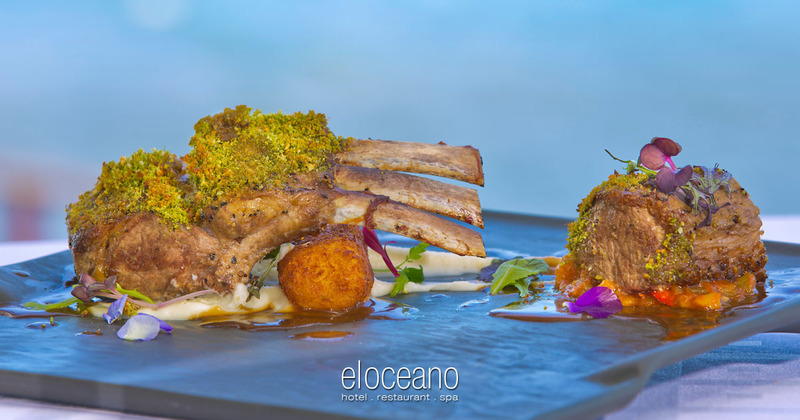 Our restaurant is open every day throughout the season, with the magnificent A la Carte Menu available, plus our Lunch Menu for those looking for a ‘lighter bite’! 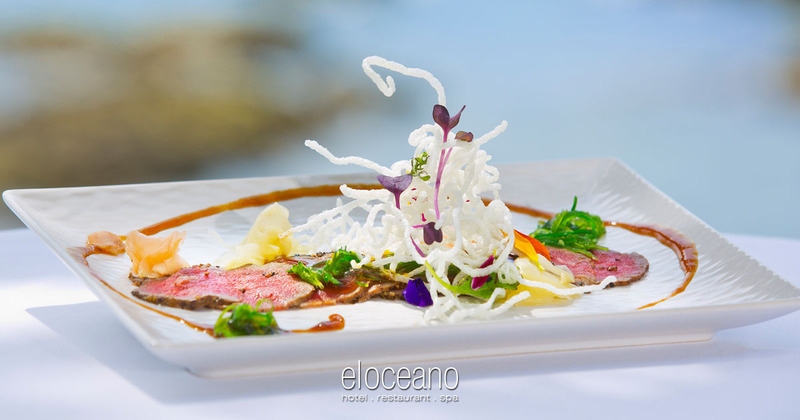 Always perfect food, plus views you will not forget!! Our terrace directly overlooks the sea – really, the beach is almost in touching distance! Are you ready for your awesome afternoon? Of course you are!! 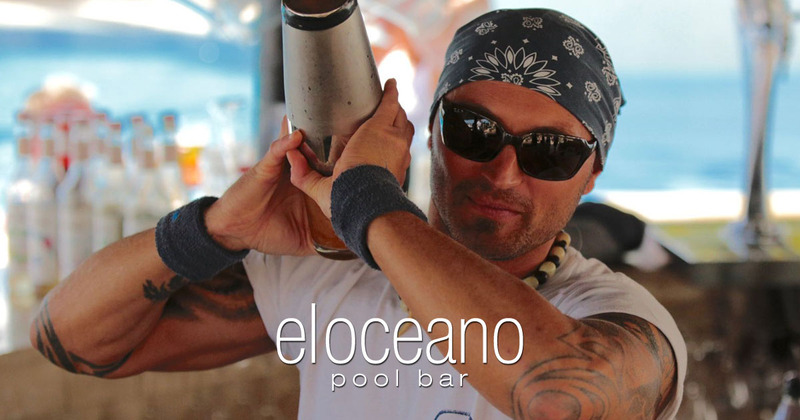 Get in touch and make your reservation for an afternoon around the pool at El Oceano Beach Hotel!! Just imagine it… a bottle of Moët, personal service and the best sunshine there is!! 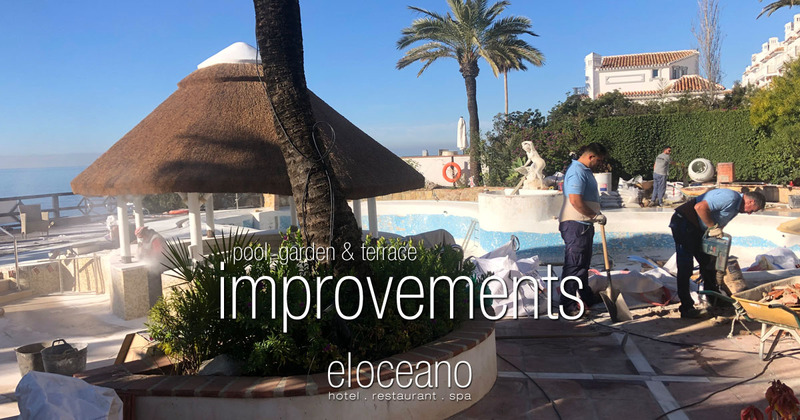 Perfection on a sunbed at El Oceano! El Oceano Beach Hotel, Restaurant & Beauty Salon between Marbella and La Cala de Mijas: Luxury Just Took a Step Up!